In the latest community survey, residents said Pitkin County wasn’t doing enough to address mental-health care and substance abuse. This week, Pitkin County commissioners will attempt to address those concerns when they approve a new, nearly $500,000 partnership that will allow all Pitkin County residents access to mental-health or substance-abuse services and treatment regardless of their ability to pay for it, county manager Jon Peacock said. The partnership with the city of Aspen, the Aspen School District and Aspen Valley Hospital will add therapists in Aspen and Basalt schools, a nurse at the county jail, four more positions at Mountain Valley Health and a rapid-response team to stabilize people in crisis. 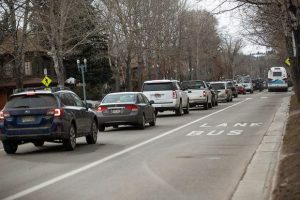 “It’s a new way of doing things,” Karen Koenemann, Pitkin County’s public health director, said of the combined efforts. That’s not to say every possible treatment option will be covered or that providers won’t seek compensation when patients qualify for it, Peacock said. But it will offer a place to start and specialists who can help people in need navigate a path to wellness and stability, he said. “That’s been the purpose, really, from the beginning,” Peacock said. Commissioners will address the contract at a public hearing during Wednesday’s regular meeting at the Pitkin County Library’s community room. The meeting starts at noon and the contract is the second item on the agenda. The old way of doing things involved a patchwork of nonprofits and private providers who had sprung up over the years to address the county’s high rates of suicide and depression, the sometimes mixed messages about the Aspen area’s ingrained party vibe, lack of psychiatric care especially for “marginalized populations” and the high cost of treatment for these issues, according to a memo from Koenemann and Nan Sundeen, head of the county’s Health and Human Services Department. “The result has been a community perception of a fragmented and uncoordinated system of care,” the memo states. So more than a year ago, representatives of government and community entities that fund local mental-health care efforts began meeting to try to fix the problem. In addition to the city, the county, the school district and the hospital, also represented at that table were Aspen Skiing Co., the Aspen Community Foundation and Colorado Mountain College. The committee identified gaps in the continuum of mental-health care in Pitkin County, then brought in a facilitator with experience in mental health to “get to the root of what was happening and why the gaps are there,” Koenemann said. Out of those sessions came the idea for public funding agencies to pool their money in hopes of obtaining a better result, she said. “(We said) if we pooled our resources, could we impact the system in a different way?” Koenemann said. 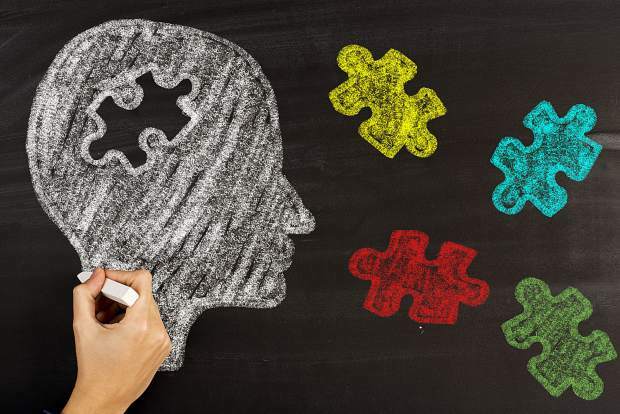 The committee then sent out a request for proposals this summer and fall from the mental-health community that emphasized collaboration as a means to plug those gaps, but was left intentionally “open-ended” in an effort to see what providers and nonprofits could come up with, she said. In late October, the committee chose a joint partnership between Mind Springs Health and Mountain Family Health as the winner of the contract. Mountain Family provides primary health care, including dental and initial screens for behavioral health — the collective term for substance abuse and mental health — as well as counseling, Schalla said. The screen provides an initial assessment of a person at a regular, non-stigmatized doctor’s office and easy access, if necessary, to a behavioral specialist in the office next door, he said. If the behavioral health issue identified by Mountain Family requires more in-depth treatment, the agency refers the person to Mind Springs, which is specifically geared toward improving mental health. Mind Springs already was looking to expand its offerings in Pitkin County, and the new contract will allow that to occur, said Jackie Skramstad, Mind Springs regional director. “We really wanted to add capacity for more intensive services,” she said. The new contract groups the community’s behavioral health needs into three areas. Under terms of the contract’s “community mental-health” program, Mind Springs will create a rapid response mobile unit to stabilize people in crisis and keep them stable, she said. That effort will include a full-time licensed therapist and a full-time case manager, who will have the capacity to go to people’s homes and offer help and guidance, Skramstad said. The contract also calls for an advanced psychiatric nurse practitioner to spend 60 hours a year at the Pitkin County Jail to monitor inmates taking psychiatric medication. The “integrated care” portion of the contract will allow Mountain Family to add two more behavioral health specialists to its Basalt clinic staff. 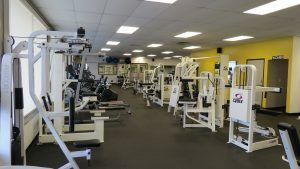 The specialists will provide outpatient services “for families, substance-use disorders, trauma, hypnosis, animal assisted and other evidence-based therapies,” according to the memo from Koenemann and Sundeen. Two more “patient care coordinators” also will be hired at the Basalt clinic, which is slated to move into a larger, county-owned building across Highway 82 in September, Schalla said. One of those positions will focus on advocating for patients and families, while the other will manage the cases of those patients most at risk. Finally, the third portion of the contract focuses on children and schools. Under the terms, the Aspen School District will hire a full-time therapist to provide on-site “student and family therapy” as well as consultations with staff to assess students’ needs in the elementary, middle and high schools. In addition, the Basalt School District will be provided funds to hire a half-time therapist — “0.6” time to be specific — to “focus on students with depression, trauma and/or anxiety (and) substance abuse,” the memo states. The parameters of those two positions are being worked out, Koenemann said. Another important aspect all involved with the project spoke about was destigmatizing mental health disorders by better-integrating mental-health care into the community. That’s part of the thinking behind the mobility of the rapid response team and placing a therapist in the schools, Skramstad said. “You put them in the community so they’re not segregated,” she said. That presence, in theory, will breed familiarity and normality so that seeking and receiving mental-health care becomes akin to seeking and receiving treatment for diabetes or a broken arm. The new program will cost $488,000 next year, and the majority of that funding — $304,500 — will come from the Healthy Community Fund, a county property tax that raised more than $2.3 million in 2017. That money was awarded in the form of grants to mainly nonprofit organizations that directly benefit the community’s health. The $182,000 awarded in previous years to the Pitkin County Health and Human Services Department and other area nonprofits dedicated to mental health and substance abuse was instead banked for the new contract this year. After a citizens’ committee and county commissioners awarded the Healthy Community funds this year, the fund retained a balance of $133,000, according to county documents. The county kicked in another $122,500 of that remaining money to fund the new program, according to documents. Aspen School District contributed $40,000, Aspen Valley Hospital put in $73,275 and the city of Aspen gave $70,550 toward the new program, according to county documents. Schalla, of Mountain Family Health, said 85 percent of patients treated by his organization — which operates in Pitkin, Garfield and Eagle counties — live at 200 percent of the poverty level or below. In Pitkin County, that means a family of four making $49,200 a year, he said. Mountain Family Health takes Medicare, Medicaid, private insurance and offers a sliding scale for patients without insurance, Schalla said. “That said, we’re not a free clinic,” he said, adding that people need to make an investment in their wellness. Still, as Peacock said, those who can pay nothing will not be turned away. The new program will operate for 2018, though there are no guarantees it will continue after that because the Healthy Community Fund property tax is set to expire at the end of next year. “Future funding for mental health at this level or higher will depend on the successful renewal of the Healthy Community Fund and/or the successful infusion of other funding,” the memo from Koenemann and Sundeen notes. Peacock said he hopes voters reauthorize the Healthy Community Fund next November. “The work that money’s doing in the community — holy cow,” he said.